SayWhatNews: Good morning Big Hen. Thanks for sitting down and speaking with SayWhatNews. Tell us who is Big Hen? 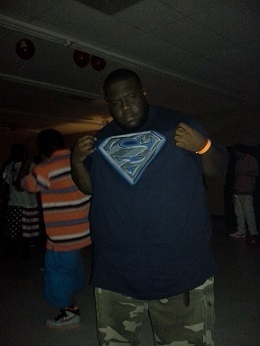 Big Hen: Thank you….Big Hen is a real live country boy from Mississippi, that’s always putting on for where I came from. I’m originally from Natchez, Ms. I reside in Baton Rouge, La. I fell in love with music at a very young age, and started to make music around the age of 12 or 13 years old. I got involved with playing instruments, which grew my love to produce music. My brother started a record label in 1996, and it’s been on ever since. SayWhatNews: Your birth name is Henry L. McKnight but you go by the name Big Hen. How did you come up with the name Big Hen? Big Hen: I was big since birth…LOL…. But seriously that name changed as I got older, it was like a label of progression, so to speak. It went from McKnight in middle school, to Big H. in high school, to Hen in college, and the Big Hen when I so called hit the real world. SayWhatNews: At what age did you discover your talent of writing and performing Rap? Big Hen: I would say at the age of 16, when I start recording for the first time and performing live. It was like a drug, I needed more! Meaning more songs, more shows, more fans, more money, more studios etc…..
SayWhatNews: So in 1996 you started writing and recording your music. How did you become the first artist on your brother’s Ceazerleo label, Gold Plate Records? SayWhatNews: Under the helm of Gold Plate Records you released several mix-tapes which made you a household name in the Underground world of Hip-Hop. How amazing was it for you to see your music become well known in the community? Big Hen: It felt good to see first my city embrace the sound that I was coming with. I was quickly acknowledged as one of the elite mc’s in my area. Also I was doing beats and a lot of people loved my style of hip hop, which I call SIPP HOP! So, from selling beats to selling CDs, I made my mark on my city. And then I got interested in taking it across the world. SayWhatNews: By the year 2000, your name and talents were known all over Mississippi and especially your talents for producing – which now was in hot demand. How did you keep up with the fast rising local notability? Big Hen: By being a workaholic, I just stayed in the studio literally like months on top of months. I stayed in the studio so everybody that wanted to work with me found me in the studio, so it was kind of easy back then because everyone did not take music seriously enough to invest in themselves. I took a break for a minute on producing and beat making to focus on my craft of writing and performing, so here I am BIG HEN -Mr. GOT HUSTLE? Getting ready to take the world by storm!!!! SayWhatNews: 3 years later in 2003, your brother reached out to you to produce his solo album “Hustler’s Pain” which went on to sale 5,000 copies in the streets of Mississippi; how did that success inspire you to continue on to reach greater success? Big Hen: “Hustler’s Pain” was the first album that we actually packaged up with bar codes, nice artwork, the best production and recording. After I saw the numbers it did I just started working on mix-tape after mix-tape, building my name up in the streets. I wanted it even more, ya feel me. SayWhatNews: I sure do. 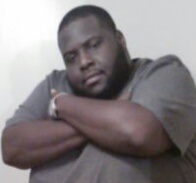 In 2007 you and your brother Ceazerleo teamed up and formed the group Big Boyz and released the album, "Platinum Out Da Trunk, which shattered previous sales, selling more than 10,000 copies in the streets and the local record stores throughout the states of Mississippi and Louisiana. What inspired you two to join forces on the mic and make an album? Big Hen: It was only a matter of time that we hooked up to drop a masterpiece, it was just fitting. But, I was always moving around form city to city, so we never had the chance to focus on something together. It was like magic. And also we had the same hustle skills embedded in us from our father and we wanted to honor his name this way. SayWhatNews: How did that experience, being the first artist on Gold Plate Records prepare you for starting your own record label Big Bank Records and your own production company, Hen House Productions? Big Hen: I was raised in a family that always owned their own businesses, my father owns clubs and restaurants, my brother owns clubs, hair stores, clothing store, record stores, game rooms, etc… So I was raised in that lifestyle and I picked it up, and the story goes on and on and on…. SayWhatNews: Big Hen, you just released your solo album, “Got Hustle?”. What can fans expect to get from this album? 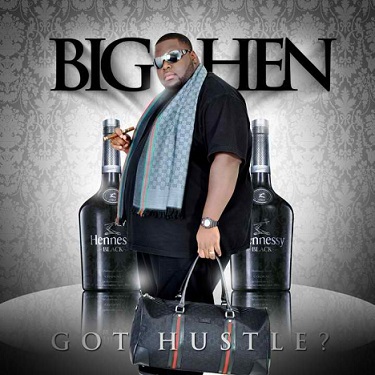 Big Hen: “Got Hustle?” Will bang in the trunk with quality beats, real rhyming, and songs that were put together to be potential hits. I call my style Hustler music, because I speak on grinding and getting money, we gone have a good time but we gotta get this paper first. SayWhatNews: Your single “Look Back At It” feat. Pone is great song to groove to in the clubs. What inspired the track? Big Hen: I wanted to switch up the sound of the track, so I took a reggae feel and added my southern swag to it and that was the birth of “LOOK BACK AT IT”. My homie PONE, from Ferriday, LA got together with me on this one, he is a great lyricist in this game. And I love to make the ladies dance of course. SayWhatNews: I see your musical influences are 8Ball, MJG, UGK, Biggie, 2Pac, OutKast and Master P. Who would you love to collaborate and why? Big Hen: My dream collabo would be 8Ball, because of the similarity of styles, and also I’m reppin’ for the big boys and I know me and him could make something really hot. And, I will get that chance to work with him, just watch. SayWhatNews: Are there any plans to go on tour? Big Hen: I have been in communication with Maybach Music(MMG), and we were talking about the possibility of touring together, so I will keep y’all tuned in on that. Also my management, Encore Music Mgt. has a few things in the works for this Summer and Fall…. S/O to Herman JB Brown. SayWhatNews: What’s next in the future for Big Hen? Big Hen: Next for Big Hen! As of now I got a couple record deals on the table, so my management and I are continuing to work and focus on building my brand. Branding is key because even before any you’re your supposed to be grinding on your own to see your visions through. Also, I’m working on the mix-tape which is titled “GOT HUSTLE? RELOADED”, set to drop in the Fall. The new solo album will be titled “KNG HNRY II”, which will be released for the new year of 2014. And be on the lookout for the new singles “KELLY ROLLIN’”, “LOOK BACK AT IT”, & “CLUB ON FIRE”.